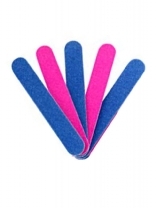 Double sided emery board, pack of 5. One side is pink the other is blue. 8.5cm in length. 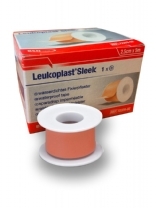 Leukoplast Sleek is a waterproof adhesive strapping tape. 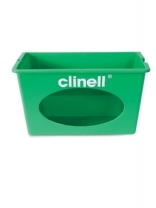 Ideal for fixation of dressings and appliances where they are likely to be in contact with dirt or water. Its strength and conformability also make it suitable for use in the work place. No Wipes Included! Unique wall mounted dispenser, hygienic and accessible for quick and easy wipe dispensing. Our durable dispensers can be mounted on any convenient surface from walls to shelves to allow easy one handed wipe access. SIZE UK 7-11. 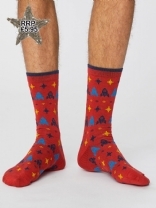 RRP: £5.95. 1 Pair. Our gaming socks feature an exclusive design and are available in four new season colours. UK 4-7. RRP: £5.95. Thought exclusively designed bird print socks made in incredibly soft bamboo and organic cotton blend, sustainable socks are breathable, naturally anti-bacterial and anti-fungal, so your feet (and the planet) stay happy and healthy. RRP: £5.95. Made in incredibly soft bamboo and organic cotton blend, sustainable socks are breathable, naturally anti-bacterial and anti-fungal, so your feet (and the planet) stay happy and healthy. UK 7-11. RRP: £5.95. 1 Pair. 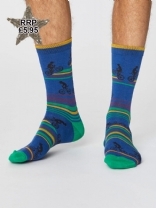 Best selling bamboo bike socks are back in four stylish colours. 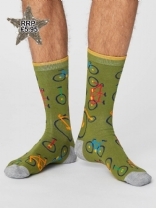 These sustainable socks are super soft, breathable, and anti-bacterial, featuring a fun bike print. RRP: £5.95. 1 Pair. 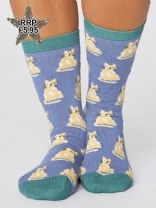 Fun cat socks feature an exclusively designed print and are available in four new stylish colours for summer. 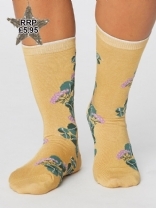 In a super soft bamboo fabric, these sustainable socks are breathable, anti-bacterial and are sure to brighten up your look. RRP: £5.95. 1 Pair. 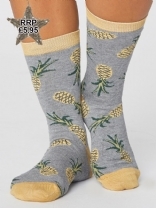 Our fun, pineapple socks feature an exclusively designed print and are available in four new season colours for summer. In a super soft bamboo fabric, these sustainable socks are breathable, anti-bacterial and come in a trainer sock shape. UK 7-11. RRP: £5.95. 1 Pair. Thought signature, bamboo trainer socks come in four classic colours. Made in incredibly soft bamboo and organic cotton blend, sustainable socks are breathable, naturally anti-bacterial and anti-fungal, so your feet (and the planet) stay happy and healthy. UK 4-7. 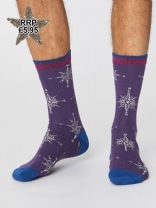 RRP: £5.95. 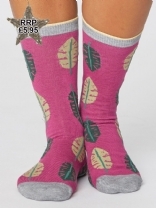 Thought natural socks feature an exclusively designed print made in incredibly soft bamboo and organic cotton blend, sustainable socks are breathable, naturally anti-bacterial and anti-fungal, so your feet (and the planet) stay happy and healthy. UK 4-7. RRP: £5.95. These sustainable socks are made in incredibly soft bamboo and organic cotton blend, sustainable socks are breathable, naturally anti-bacterial and anti-fungal, so your feet (and the planet) stay happy and healthy. RRP: £5.95. 1 Pair. Our nature inspired, botanical socks feature an exclusively designed print and are available in four stylish colours for summer. In a super soft bamboo fabric, these sustainable socks are breathable, anti-bacterial and are sure to brighten up your look. RRP: £5.95. 1 Pair. 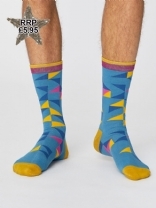 Thoughts much loved colourful socks come in a new shape this season. Crafted from luxe bamboo and organic cotton, these sustainable socks are naturally breathable and anti-bacterial. Available in four colours, these bamboo trainer socks are perfect for summer. UK 7-11. RRP: £5.95. 1 Pair. These sustainable bamboo and organic cotton socks are super soft, breathable, anti-bacterial and perfect for adding some colour to your look. RRP: £5.95. 1 Pair. Crafted from luxe bamboo and organic cotton, these sustainable socks are naturally breathable and anti-bacterial. 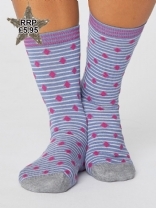 Available in four colours, these frilly, bamboo, ankle socks are perfect for summer. RRP: £5.95. 1 Pair. Thought feminine daisy socks feature an exclusively designed print and are available in four new stylish colours for summer. In a super soft bamboo fabric, these sustainable socks are breathable, anti-bacterial and are sure to brighten up your look. UK 7-11. 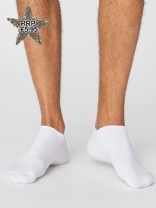 RRP: £5.95. 1 Pair. 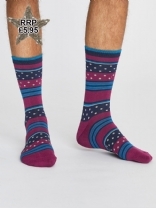 These sustainable triangle socks are super soft, breathable, anti-bacterial, and are perfect for adding some pattern to your look..
UK 7-11. RRP: £5.95. 1 Pair. Made in incredibly soft bamboo and organic cotton blend, sustainable socks are breathable, naturally anti-bacterial and anti-fungal, so your feet (and the planet) stay happy and healthy. RRP: £5.95. 1 Pair. Our fun wild animal socks feature an exclusively designed print and are available in four new stylish colours for summer. In a super soft bamboo fabric, these sustainable socks are breathable, anti-bacterial and are sure to brighten up your look. UK 7-11. RRP: £5.95. 1 Pair. 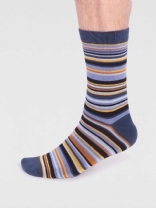 Our Heritage bamboo socks are breathable and naturally anti-bacterial. These sustainable, super soft socks feature a fun new print and are available in four colours for the season. RRP: £5.95. 1 Pair. 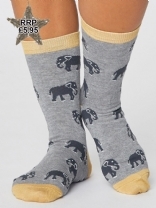 Thoughts much loved ladies bamboo socks are back in four new season shades. Crafted from luxe bamboo and organic cotton, they are naturally breathable and antibacterial and feature an exclusive stripe print. RRP: £7.80. 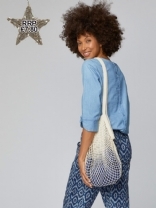 In a strong, supple organic cotton fabric, this string bag is your simple, sustainable answer to a more plastic free lifestyle. It has short handles and a smart, Thought branded front, perfect for your weekly grocery shop.